Ukraine is at war with Russia and only the West can turn the tide – but will it? Ukraine is at war with Russia. This has been said before, but it has never been more evident than it was during the fighting of the last two weeks. The conflict in the Donbas, which flared up again once the winter fighting season resumed, has changed in character. Before, it was a hybrid war, in which Russian conventional forces, although they carried out the heavy fighting, were flanked by volunteer forces and irregulars and faced off against a Ukrainian force that had the voluntary Maidan battalions at its core. Now, it has turned into a de facto conventional war between regular armed forces: the Ukrainian army on one side, the Russian army on the other. The pro-Russian separatists are involved only in secondary tasks, protecting the Russian flanks or guarding prisoners. The volunteer Ukrainian battalions, due to the lack of proper anti-tank weapons and armoured vehicles as well as incoherent leadership, are bleeding to death. Since December, reports from released prisoners and journalists who had been held by the rebels warned that large quantities of supplies, arms, and ammunition were flooding into the Donbas from Russia. Russia had been expanding its airports and military-logistic facilities around Rostov since the autumn. It was capable of staging a military operation in the Donbas within a short amount of time. Taped phone conversations and returned Ukrainian prisoners also gave vague hints in December 2014 that a Russian offensive was being planned for around 15 January 2015. Now, events have provided confirmation of the rumours. That Russia is playing a direct role in the recent escalation is obvious. That Russia is playing a direct role in the recent escalation is obvious; the sophisticated electronic warfare, reconnaissance devices, and new Russian armoured personnel-carriers being used by alleged “pro-Russian rebels” could only have been acquired from the Russian armed forces. The ease with which this equipment has been used and the relatively flawless cooperation between armour, infantry, artillery, and other arms of the “rebel army” suggest that they have been well trained. To field a tank takes weeks. To train a tank-crew takes months. But to train combined-arms combat teams to function properly together takes years. Ukraine has not handled the situation well. After a series of provocations, which included bombing attempts and terrorist incidents across south-eastern Ukraine in early January, the Ukrainian armed forces reacted to shelling around Donetsk airport by deploying heavy armour in a counterattack intended to relieve the airport. For Russia, this was the pretext it had been waiting for, served up on a platter – and a counter-offensive followed rapidly. Furthermore, incidents are multiplying of Ukraine sending unobserved artillery fire into Russian-held areas, which usually cause no harm to Russian forces but create collateral damage. Loose artillery attacks, poor coordination, and lack of communication between armour, infantry, and artillery are to be expected in a Ukrainian army that has been hastily expanded. No one could expect Vladimir Putin to allow Ukraine to beat Russia in the Donbas militarily – Moscow was just waiting for Kyiv to make a mistake. Kyiv has so far not carried out meaningful defence reform. It still has difficulties supplying its troops in the field. Subversion of the Ukrainian war effort, lack of competence, and organisational deficits are still major problems. When Ukrainian forces took control of Donetsk airport on 16 January, the Ukrainian leadership was enthusiastic about the success against the rebels – totally underestimating the amount of Russian men and materiel waiting across the border to join the fight. Instead of continuing the fight for the airport, they should have stayed on the defence. No one could expect Vladimir Putin to allow Ukraine to beat Russia in the Donbas militarily – Moscow was just waiting for Kyiv to make a mistake. Again, this raises the question: what does Russia want? Kyiv rejected Putin’s “peace proposal” because it did not set any limitations on the Russian role in the Donbas – something that Moscow denies exists in the first place. To Ukraine, a plan like this would only give Russia the chance to take over more of its country. Kyiv wants fixed limitations on Russia’s role in the separatist regions (even if they are self-governed), to prevent them from being turned into de facto Russian provinces like South Ossetia or Abkhazia. However, Kyiv has little leverage over Russia to force it to agree to any such limitations. Since September, Russian forces have expanded their gains in eastern Ukraine. Most of the fighting has taken place around strategic infrastructure and lines of communication. Because most lines of communications are centred on Mariupol (the Donbas’s traditional port), pro-Russian forces gained most ground to the north-east of this city. A rebel offensive to encircle the city began on 24 January. Similarly, the Russian demand that Ukrainian forces withdraw “to areas from which they cannot shell populated areas” was an attempt to push Ukrainian forces further away from highways, airports, and connections that the Russians would like to control in order to make the self-proclaimed People’s Republics of Donetsk and Lugansk more economically viable in the long run. Changing the line of demarcation from the one drawn in September to a new line acknowledging the current facts on the ground seems to have encouraged Russia to make extra gains. On 21 January, the foreign ministers of Russia, Ukraine, Germany, and France agreed on a new line of separation. This was a tacit acknowledgment by Kyiv that Russia was entitled to keep more land than was agreed under the Minsk Protocol signed in September. The agreement of 21 January was well intentioned – but it had no effect. The original plan was to withdraw artillery with a calibre larger than 100mm to 15km behind the demarcation line. As artillery strikes cause most civilian deaths and are frequently used in provocations, the measure sounds like a good first step towards de-escalation. But changing the line of demarcation from the one drawn in September to a new line acknowledging the current facts on the ground seems to have encouraged Russia to make extra gains around Donetsk. There is little chance that a ceasefire will be implemented. It is even less likely that the Minsk Protocol, which would also require Russia to stop supporting the rebels in Donbas and to monitor the border to Ukraine effectively, will be implemented. Russia’s control of the Donbas is stronger than ever. The rebels depend on Russia’s military presence to keep up the military momentum against Kyiv – and to help them avoid fighting themselves. And Russia controls every aspect of social, political, and economic life in the “People’s Republics”. Hence, the creation of another de facto Russian satellite state is already a matter of fact. The chances that Russia will give back the Donbas in return for any kind of concession are getting slimmer by the day. The “on and off” character of the Russian military operation suggests that Moscow wants rather to wear Ukraine down than to conquer it. Russian peace rhetoric is nothing but a scam. Public statements by Alexander Zakharchenko, the “prime minister” of the People’s Republic of Donetsk, are scripted in Moscow. He says the aim of the war is the conquest of the entire Donetsk region, while Russia’s Foreign Minister Sergey Lavrov suggests renewing negotiations. The real intention of the Kremlin is easy to guess: most likely, Lavrov’s words are only diplomatic deception aimed at confusing the West, since in the end, only Zakharchenko’s words match up with the facts. On the other hand, the “on and off” character of the Russian military operation suggests that Moscow wants rather to wear Ukraine down than to conquer it. This is a success for Kyiv and the West: Putin seems to be deterred by the solidarity of Ukrainian society (including Russian-speaking Ukrainians in the country’s south and south-east) and by the economic crisis within Russia, and so does not want to risk an all-out invasion. Ukraine keeps up the fight because of the lessons it learned from the annexation of Crimea. 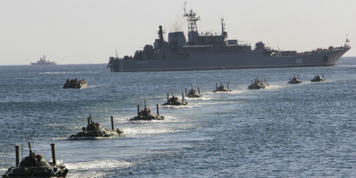 If military resistance is not offered after a Russian incursion, another incursion will happen. They are fighting in the Donbas in order not to fight in Kharkiv, Odessa, or elsewhere. In the absence of any tangible Western guarantee for the “rest of Ukraine”, this is a credible reason to keep going. 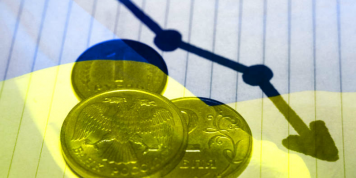 But the conflict and the renewed expansion of its armed forces is draining the Ukrainian budget (which is already under pressure), scaring off investors, and distracting the government from the reform agenda that the country so desperately needs to implement. In this situation, only the West can make a difference. It is useless, from Kyiv’s point of view, to think about placing limitations on Russia’s role in the Donbas. Rather, it should be thinking about how to save what is left of Ukraine. Both Kyiv and the West need to strategise on this conflict beyond illusory ceasefires. The confrontation between liberal Europe and Eurasist Russia is not going to be a short-term affair, and it neither began nor will it end with the conflict in Ukraine. It is a systemic conflict between different ideologies over different visions for a European order, as well as the political, societal, and economic orders within European states. For Ukraine, there is no chance of getting back Crimea or the Donbas before Eurasism (itself a Russian version of Fascism) collapses in Russia – just as there was no real chance for German reunification until Soviet Communism crumbled. So, it is useless, from Kyiv’s point of view, to think about placing limitations on Russia’s role in the Donbas. Rather, it should be thinking about how to save what is left of Ukraine. For Ukraine, a frozen conflict in the Donbas would be a success. The problem is, the conflict will not freeze. The West could change things, if it decides to guarantee the independence of the “rest of Ukraine” and deploy force to back up its words. While Russia keeps sounding threats of a looming “world war”, it is very unlikely that Russia will risk total war – Moscow could not win, and it knows it. Of course, this kind of Western action would infuriate Moscow. But Russian-European relations are already broken, and because of the nature of the Russian regime, they will remain so. There should be no illusions that “back to normal” is coming any time soon. And after Russia and Iran signed a treaty on military cooperation, the West should also give up the idea that Russian-Western cooperation is going to happen on non-proliferation, terrorism, or any other issues. There was none and there will be none. Hesitation to confront Russia will not bring about cooperation with Moscow; it will only give Russia the opportunity to make more gains. However, given European reluctance to engage militarily in the east and the current weakness of American leadership, the West is not about to take the stand that it should against Russia any time soon.